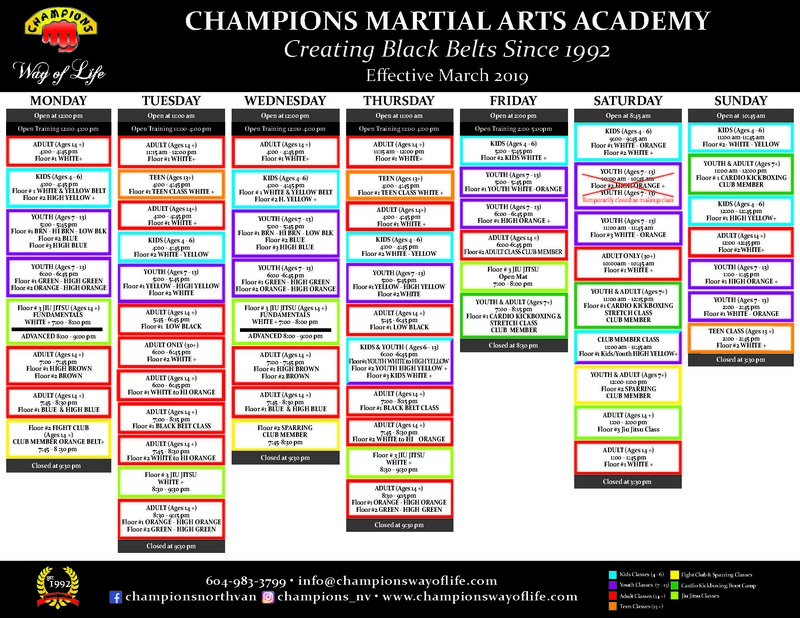 Brazilian Jiu-Jitsu at Champions Martial Arts Academy in North Vancouver is much more than a martial art. It is a highly effective method of self-defense and fitness that builds a strong body, mind, and character. Jiu Jitsu is a grappling art (ground fighting) that gives you the power of leverage over a larger and stronger aggressor or bully. Our team of instructors have been certified by multiple time BJJ world champions, world famous instructors and competitors as well as IBJJF Hall of Fame athletes. We invite you and your family to visit our school, meet our friendly instructors, and enjoy the experience of Brazilian Jiu Jitsu with a FREE Private Jiu Jitsu Lesson - click here. Brazilian Jiu-Jitsu for Men & Women - Find out why people just like you are embracing Champions Jiu Jitsu program as a fun, safe and healthy part of their lifestyle. With Champions BJJ program in North Vancouver, we strive to help students get the most out of their training. For students who show consistency and dedication, Brazilian Jiu-Jitsu becomes a life-style and students can readily enjoy all the benefits of Brazilian Jiu-Jitsu. With a convenient location at the foot of Lonsdale by the Lonsdale Quay, over 10,000sq ft of premium matted floor space, we have been serving the community for over 25 years. Champions BJJ program is a proud affiliate of Jiu Jitsu For Life Team, which is home to many of the top BJJ competitors, athletes & instructors coming out of Canada. Need more information on our BJJ Program?